Gusseted bags feature creased sides that expand to accommodate bulky items. Low-Density Polyethylene (LDPE) bags are the most commonly used plastic bag because they provide excellent protection and outstanding value. Made from virgin materials, so they comply with FDA requirements for use in food applications. Linear Low-Density Polyethylene (LLDPE) bags provide extra strength and puncture resistance compared to Low-Density bags of the same gauge. Gusseted bags feature creased sides that expand to accommodate bulky items. Made from virgin materials, so they comply with FDA requirements for use in food applications. Provide exceptional clarity for the best possible product presentation. And when used for perishable products, they can greatly extend shelf life because of their excellent vapor and moisture barrier properties. Polypropylene co-extruded freezer-to-microwave bags let you take leftovers or small food portions straight from the freezer to the microwave. 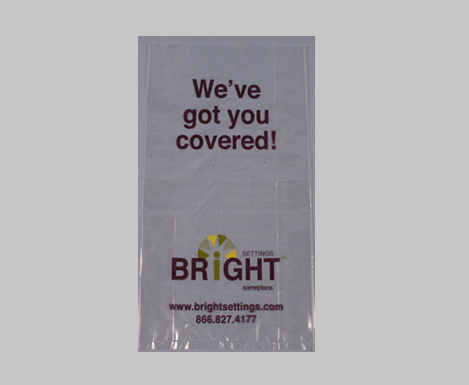 Polypropylene bags provide excellent product presentation and are great at preserving freshness. Provide exceptional clarity for the best possible product presentation.